Complain about regulation all you want but a single set of rules is fundamental to making an industry grow. Email marketing got its start back in 1978, when the first "mass" email was sent to about 400 email addresses to promote a product. We’ve come a long way since then, with an estimated average of 269 billion emails sent/received each day in 2017. Estimates of how many of those are marketing emails but most estimates are over 50 percent. That means, on average, more than 135 billion marketing emails were sent each day in 2017. As email accounts became more common through the 1990s, marketers taking greater advantage of the new mass communication channel pushed the technology and the boundaries of what is possible within the medium. From early text-based emails to the emergence of graphics, dynamically generated content, HTML, personalization and automation, innovation has come about largely based on the needs of the marketing and advertising industry. By 2000, email marketing companies were regularly charging clients more than $ 300,000 to send marketing messages to their email databases. Email was the king of the digital marketing hill. There was no shortage of entrepreneurs and companies diving into the email marketing arena to drive massive revenue. I got into email marketing in 1999 when the email marketing industry really was the Wild West, mainly because regulation was extremely inconsistent. Every state in the U.S. had its own laws and regulations, which didn’t always agree or offer a clear framework for emailers to follow. Not surprisingly, this led to a great deal of legal action against email marketers. My companies were no strangers to litigation during the early 2000s. At our peak, we were sending out over 100 million marketing emails every day, making my company one of the biggest email marketers in the world. At the time I gained some notoriety as one of the biggest email marketers in the world partly due to media coverage of some lawsuits, and also through a feature on Comedy Central’s The Daily Show. I still laugh at the reactions of people who took everything in the video as if it was a serious interview, since it was largely scripted with the show’s writers to be as funny as possible. Little did I know that being on camera would foreshadow my post-email marketing business trajectory. All this notoriety led to some members of the industry and media outlets describing me as a so-called "Spam King." A few other large mass email marketers were tagged with the title as well. Then a new sheriff arrived in town. In 2003, Congress passed the CAN-SPAM Act, providing email marketers with a set of rules to follow when mailing to recipients in the U.S. You might think that emailers were up in arms when the law passed. It’s a bit of a myth that email marketers fought the passage of CAN-SPAM. We and many other emailers were actually very much in favor of having the federal government create a set of guidelines for the industry to follow. This meant that there was finally a single set of rules for email marketers to follow when mailing to recipients in the U.S. 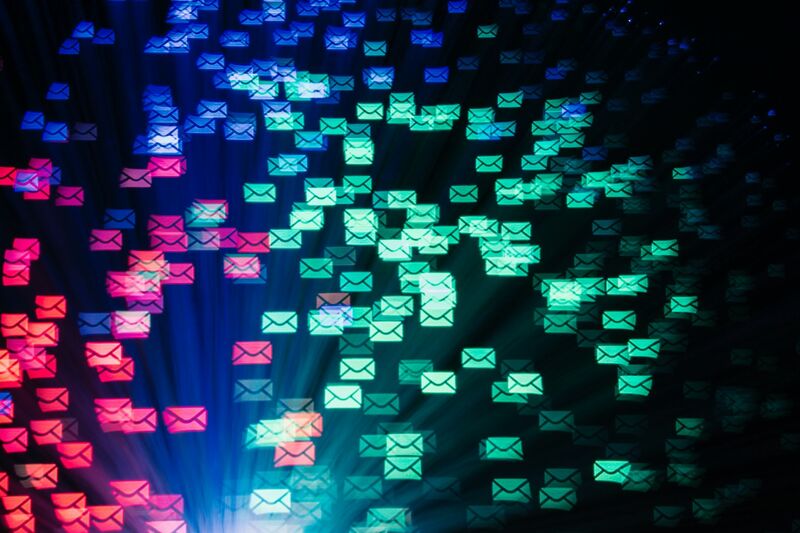 Compared to having 50 different guidelines across the U.S. (one for every state), CAN-SPAM was not only necessary but advantageous to the long-term viability of the email marketing industry. For marketers, one of the most important aspects of the law is that it created guidelines for sending unsolicited commercial email. This meant that email marketing could still be used for customer acquisition, as long as marketers followed the rules (such as honoring opt-out requests from future mailings). It’s a common misconception among many consumers that CAN-SPAM was a law to stop so-called spam emails. In fact, it set up the rules that make sending spam legal in the U.S. I won’t say that every emailer from the early days was happy about CAN-SPAM, but the ones that wanted to run legal, compliant businesses saw the positives and moved forward. There have been any number of changes to the email industry since the early days. One thing that definitely changed over the years was the revenue model around email marketing. Those $ 300 CPMs from around 2000 went away once the economics of sending emails became commoditized. Emailers that had charged advertisers based on an extremely high CPM rate eventually adapted. They chose to focus on the ability of digital marketing to ‘close the loop’ on promotional activity, tying an actual result (like a product sale) back to a specific marketing initiative, such as a specific click on an email. This ability to prove the connection of an email campaign to company revenue made email the perfect option for for performance-based marketing and eventually affiliate marketing. By 2005, the vast majority of our email marketing campaigns were focused on promoting affiliate marketing offers designed to drive sales or leads for advertisers. Email has continued to evolve over the last decade. How do you stand out and grab attention when people are receiving more and more emails in their inboxes and accessing those messages on mobile devices instead of desktops? Marketers have adapted and continue successfully engage with consumers and drive response to their email messages. We’re now going on 15 years since CAN-SPAM was passed, which has led to the creation of companies and tools to help email marketers stay compliant and out of legal trouble. Companies like OPTIZMO Technologies offer compliance solutions around managing opt-out lists, while others provide advanced tracking technology, deliverability optimization and a host of other services. With these tools, it’s easier for email marketers to run effective, compliant campaigns in the U.S. than ever before. It seems like every year there’s another article announcing the end of email marketing or the end of email in general. But, here we are 40 years after that first marketing email and the channel is still going strong. A larger percentage of companies still point to email as their most effective marketing channel. Even organizations that rely more heavily on search, social and other channels typically have a big role for email in their marketing strategy. I left email marketing some years back to seek out new challenges but took with me plenty of lessons, from how to help shape an emerging marketing channel to dealing with the legal challenges that come from inconsistent regulation and how to leveraging notariety to grow a business.